The Skin You Live In, Michael Tyler. 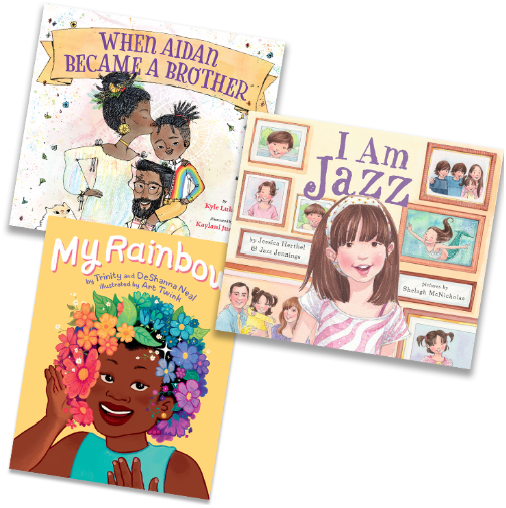 Vivid illustrations and a lively story deliver an important message of social acceptance to young readers. Friendship, acceptance, self-esteem, and diversity are promoted in simple and straightforward prose. Great descriptions of skin colors. 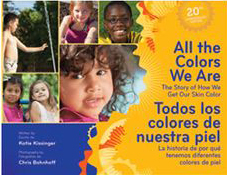 All the Colors We Are/Todos los colores de nuestra piel: The Story of How We Get Our Skin Color/La historia de por qué tenemos diferentes colores de piel, Katie Kissinger. Offers children a simple, scientifically accurate explanation about how our skin color is determined by our ancestors, the sun, and melanin. It’s also filled with colorful photographs that capture the beautiful variety of skin tones. 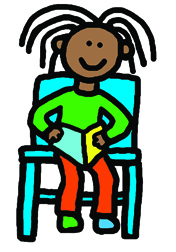 Activity ideas are included to help you extend the conversation with children. 20th Anniversary Edition. 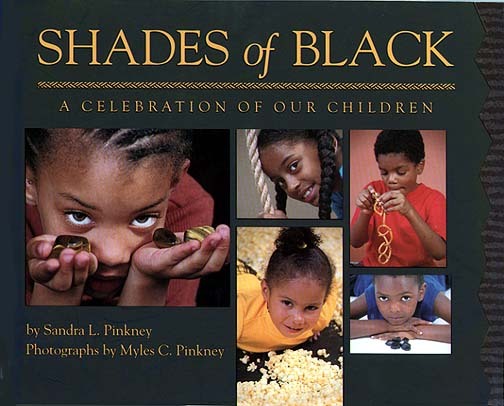 Shades of Black: A Celebration of Our Children, Sandra Pinkney and Myles Pinkney. Full color photographs illustrate poetic, vivid text that describes a range of skin and eye colors and hair textures. Conveys a strong sense of pride. Shades of People, Shelley Rotner. Cocoa, tan, rose, and almond-people come in lots of shades, even in the same family. This exploration of one of our most noticeable physical traits uses vibrant photographs of children and a short text to inspire young children both to take notice and to look beyond the obvious. 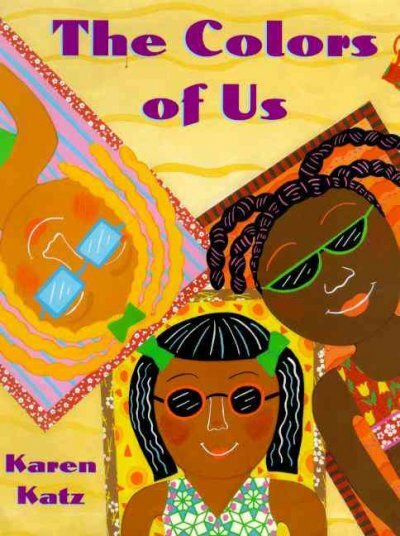 The Colors of Us, Karen Katz. A positive and affirming look at skin color, from an artist’s perspective. Seven-year-old Lena wants to use brown paint for her skin in a picture of herself. But when she and her mother walk through the neighborhood, Lena learns that brown comes in many different shades. 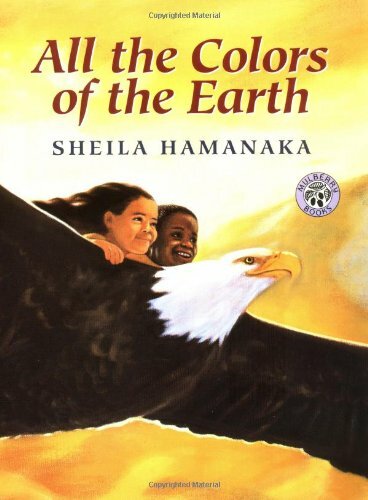 All the Colors of the Earth, Sheila Hamanaka. Mixing paints and making handprints. A lesson not just comparing skin color to foods, but actually mixing together different foods to match skin color.